Caption slip reads: "Photographer: Mack. Date: 1958-01-03. Reporter: Tarpley. Assignment: Pacific Telephone and Telegraph budget. 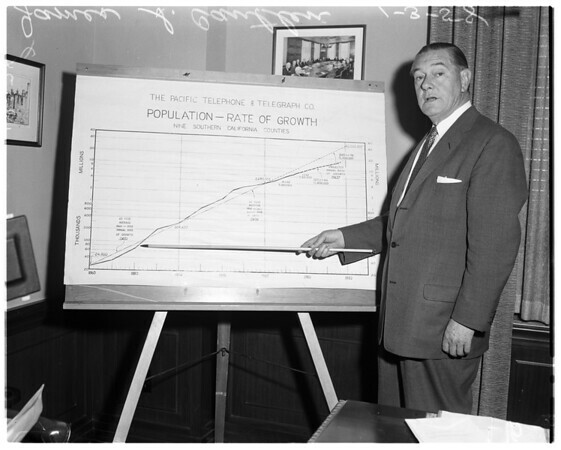 9-10: James S. Cantlen, vice president and general manager of Pacific Telephone and Telegraph Company, at graph showing relation between L.A.'s fast growth and phone company's future. 21-22: Cantlen alone at desk".